Los Angeles (AP) — The sons of Apollo Creed and Ivan Drago will pick up where their fathers left off more than 30 years ago. MGM and Warner Bros. Pictures last week released the first trailer for “Creed II,” the sequel to the 2015 “Rocky” spinoff. 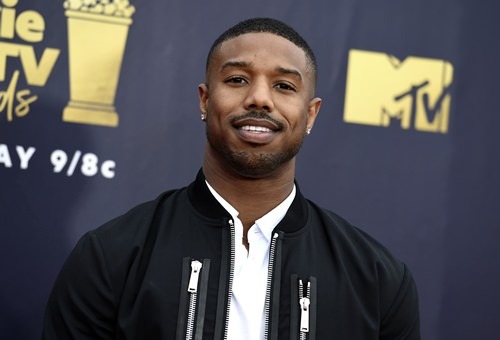 Michael B. Jordan returns as Adonis Creed, with Sylvester Stallone by his side as former heavyweight champ and trainer Rocky Balboa. In the trailer, Balboa warns Creed his opponent is dangerous. Creed is training to box Viktor Drago, the son of Ivan Drago, who killed Apollo Creed in “Rocky IV.” Romanian boxer and kickboxer Florian Munteanu plays Viktor. “Creed II” is directed by Steven Caple Jr. The eighth film in the “Rocky” franchise is scheduled to be in theaters Nov. 21.